I… think it’s actually been a while since I last talked about the Monster and curling. Whoa. 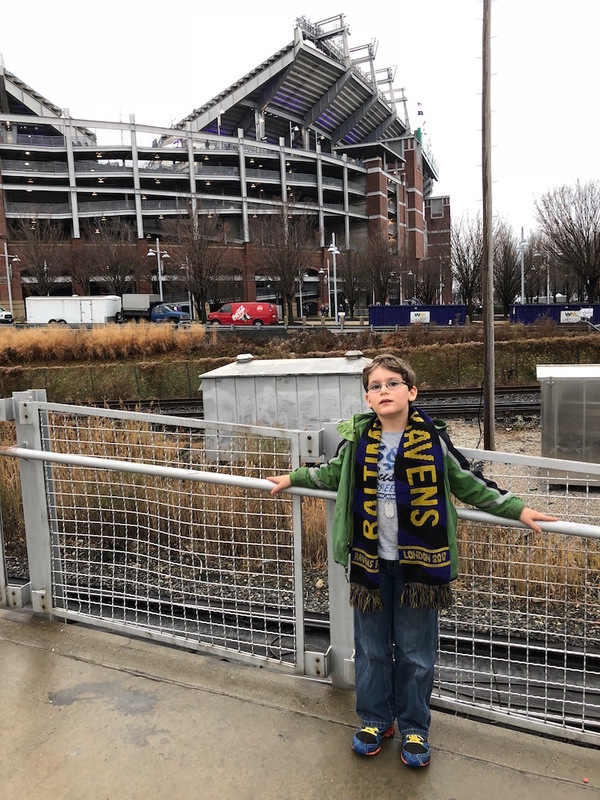 As I mentioned last week, the Monster and I were offered the opportunity to catch a Ravens game, thanks to the kindness of a donor at The Arc Baltimore. Last night was the game, and so we went. I figured that everyone could use something less controversial than the big news of the day that’s doubtless dominating everyone’s Twitter and Facebook feeds today. Curling. Specifically, with the kids. 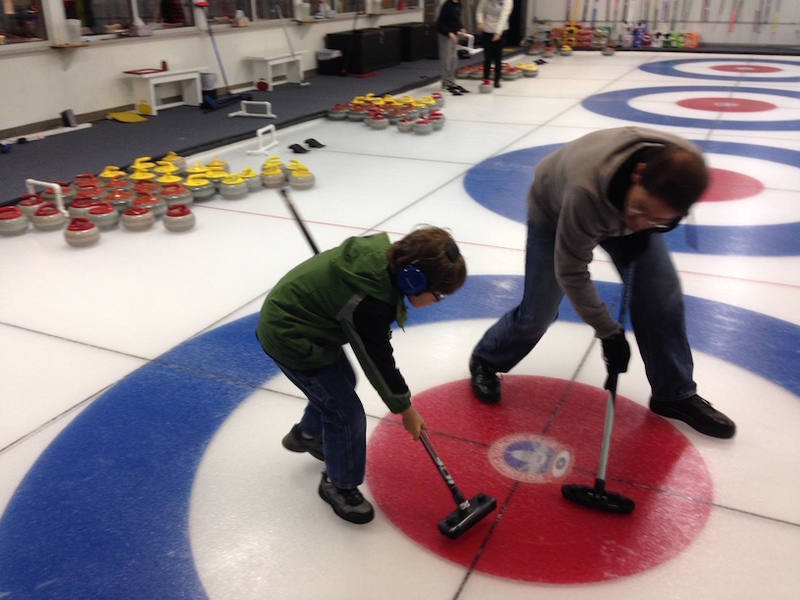 R started curling three weeks ago, and… well, is doing as well as you’d imagine a four year old doing on his first time out. He’s watched enough to have an idea of what it looks like, but putting that into practice is a wholly different thing. 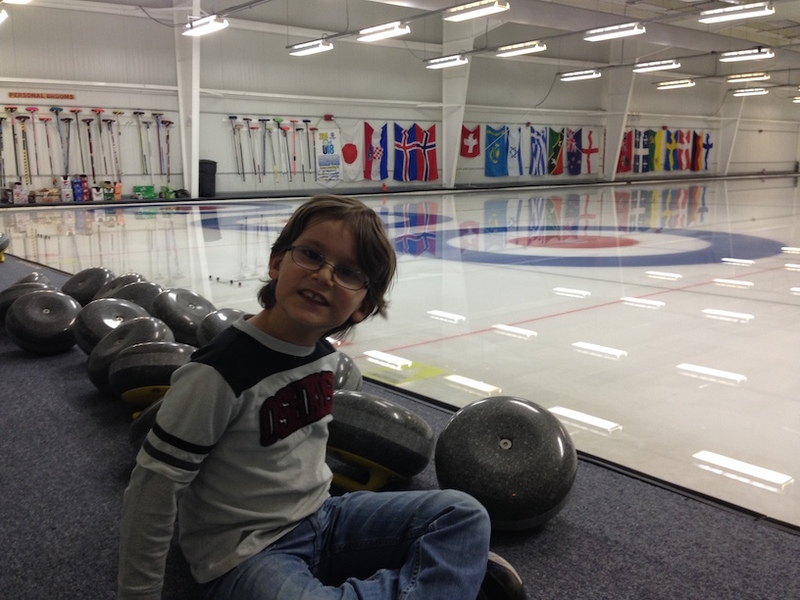 But the idea of getting curling has been motivating him since, and that makes me quite, quite happy. We took a week off for an ASBC social, and then… we went again last Sunday, this time with the Monster. So When Does He Start? Now… for those who have paid attention to my avatar (or listened to me mention it before), my escape from the Monster’s Autism is curling. The sport everyone watches during the Olympics every four years, yes, with the brooms on ice. Some folks have music, some folks have other sport endeavors… I go out into a cold room with my broom and throw forty-two pound stones down a sheet of ice. As I mentioned, I’m attending a bonspiel this week (admittedly, at my own local club – the bonspiel is the 74th Annual Francis Dykes Memorial Bonspiel for men with 5 or fewer years of experience – so I’m coming home at night instead of staying at a hotel closer to the rink), and since we won last night, I don’t have another game until Saturday morning. Basically, for the uninitiated, a ‘bonspiel’ is a curling tournament, meaning that for this weekend, there are forty teams from fifteen clubs on the East Coast (Carolina to New Hampshire, to be specific) at the club, so it’s very crowded, very warm and very loud in the warm room while games are going on. As you can imagine, that’s probably not a good environment for most children with Autism. While the Monster isn’t sensory adverse, it would almost certainly be too much sensory stimulation even for him, and he’d be inclined to go shrieking and running around between people’s legs. Curling, itself, is an interesting sport – it’s a five century old Scottish sport that involves two teams of four players on a 160 foot long ice sheet, and somewhat resembles bocce in terms of scoring and chess in terms of strategy. It’s… different than a lot of sports – it’s slower paced most of the time, it’s social, it’s not loud, and it doesn’t require the tremendous amounts of physical coordination that sports like gymnastics, basketball or other activities involve. The social aspect is important on the ice and afterwards. You have to talk to your teammates to communicate what you’re doing on the ice, what you’re going to be doing, what you want each person doing during a stone’s delivery… and you end up talking to your opponents over beverages and snacks after the match. It’s a very low-barrier-to-entry environment to socialize in a very small group (eight people generally at the end). I’ve mentioned before (see Have a Ball) that there’s a curling club out in the Midwest that does the occasional program for children and adults with Autism. I’ve since discovered the original message I saw – it’s the Duluth Curling Club, in coordination with the Courage Center – and contacted them to find out how they run their program. Their suggestions were along the lines of what I would have expected – to manage the environment to further decrease the noise, prep the participants for what to expect, go with the adaptations for special needs curling. However, none of their suggestions are anything massive either, and it has a very open path to higher functioning participants to actually transition to ‘normal’ curling when they feel ready. 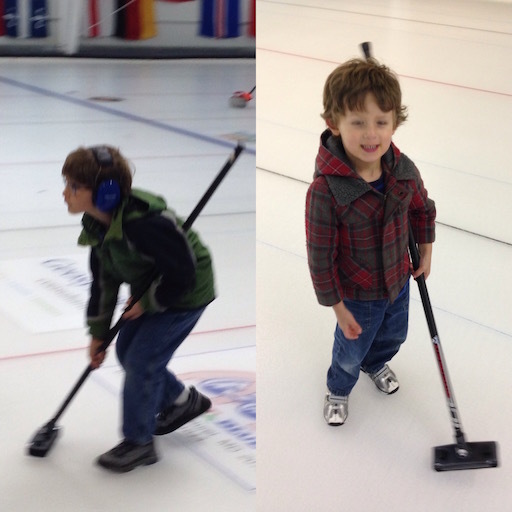 While the Monster’s not old enough yet to go curling, I’m hoping to get a program started for when he is old enough.